The orchid family is quite large, but also one whose extremes are still identifiable as orchids, usually. They are the quintessential tropical flower, and anybody who thinks about the tropics will usually have an orchid somewhere in that mental picture. The Northern Territory and Queensland are wonderful places to find orchids, and as a specialist in tropical flowers and foliage, we are lucky to share a home with some stunningly beautiful natives. Here, we’ll talk a little about orchid care in the general sense, in case you might benefit from a little general information. Every species is different, and special instructions should follow any special purchase. These are general guidelines. 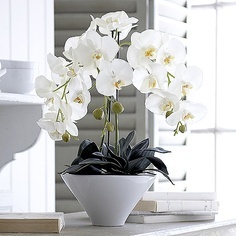 Orchids are still plants, so light is one care factor that is important to the health of your plant. If you see your orchid is growing lush, green growth, then it is probably not getting enough light. When an orchid is receiving enough light, the growth should actually look like a light green or green-yellow colour. If your plant is light green with strong upright growths, then you are getting enough light. The orchid actually does quite well in abundant light conditions, so banish the thought of them doing best in a dark forest habitat. There are some terrestrial exceptions, but most orchids are not planted in soil. 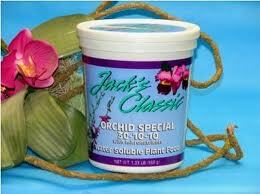 The majority of orchids should have potting media that drain well and are open. 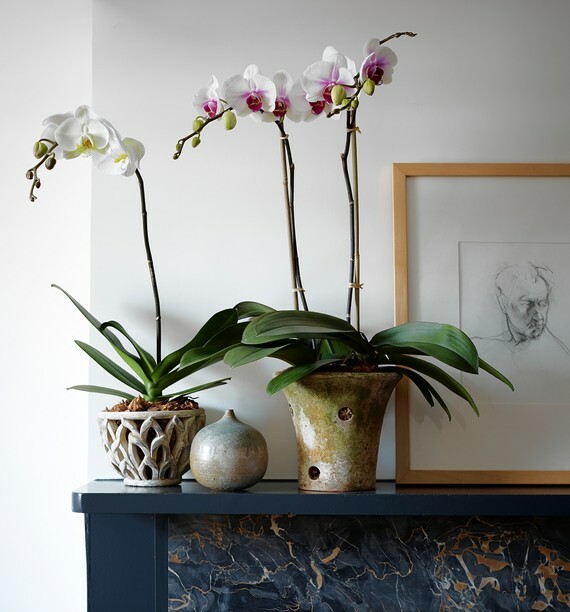 Orchids do not tolerate stagnant or stale environments very well, and there should be gentle air movement around the plant that the potting media will allow to move past the roots. The roots will die without exposure to air. A ceiling fan on low or an oscillating fan pointed away from the plant will provide the gentle movement of air that is necessary to the health of your orchid. 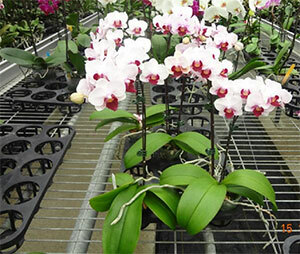 Incorrect watering practices are the leading cause for failure in most cases where an orchid dies. In general, you only want to water the orchid as it begins to dry out. Because the best time to water the plant is when it is getting dry, there isn’t really a schedule that anyone can predict that will properly care for your orchid. The specific media used in potting and the amount of air flow are just a couple of reasons why one plant might need water before another. To determine when your plant is beginning to dry out, there are a few things that you could look for: the potting media will look dry on the surface, the dry pot will be noticeably lighter than a wet pot, and if you are using a clay pot, you will see that the clay is dry. To see for yourself, you can insert a wooden stake into the media; if it comes out nearly dry, then you have a visible indicator. It also won’t hurt the plant if you want to put your finger into the potting media to feel for moisture yourself. When you note that an orchid is close to drying out, it’s time to water. Thoroughly soak the plant until water begins to come out of the drainage holes of the pot. This will saturate the media and also help to flush salts that accumulate naturally. 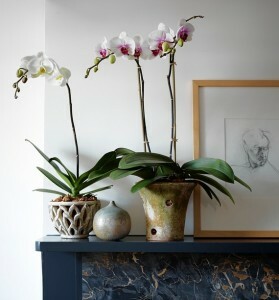 Minimally, orchids should have a thorough watering at least monthly. Watering frequency can be influenced greatly by the type of pot used. If you are more prone to water frequently, slotted clay pots are an ideal choice. If you live in a more arid location, or want to water less frequently, you might want to look at plastic pots that hold moisture for longer. Orchids that are properly maintained will grow and flower for a long time without fertilizers, but the plants will produce more results if you do choose to feed your orchid. If you do plan to feed your orchid, you will typically feed it once a week in the summer months, and only once every two weeks in the winter months. Experienced growers agree that keeping an eye on your orchid is the best way to keep it healthy. If you regularly inspect your plant, you will be able to find problems before they become catastrophic. So, use these general guidelines to care for an orchid, and keep an eye on the plant. If you do these things, you have a good chance of keeping your plant healthy and producing beautiful flowers. Always make sure to ask the nursery from which you buy if the orchid you are buying has any special care instructions. Further guidelines can be obtained with the Australian Orchid Council Inc.